The “nominate a Whitney” button on my sidebar will take you directly to the nominating form on the Whitney Awards website. The Whitney committee made the button available so we can help spread the word and get readers a-nominatin’. Any novel written by an LDS author (either LDS market or national market) that was or will be published in 2011 and is at least 50,000 words long is eligible (if you’re not familiar with word counts, 50K would be a very short novel—for instance, my upcoming 300-something-page Rearview Mirror, which is definitely not a doorstop behemoth, is over 100K. So the vast majority of novels you read will be well over the 50K requirement). Nominating a book is super easy and super fast. Any reader can nominate a book as long as the reader is at least twelve years old and doesn’t have a financial interest in the book (i.e., you’re not the author, publisher, agent, or author’s husband/wife/kids). To fill out the nominating form you just need the title, author, and publisher (if you can’t remember the publisher, you can always look it up on Amazon or Goodreads). 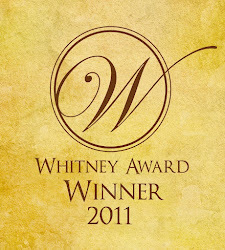 Everyone will have different criteria for which books they choose to nominate for a Whitney Award. For me, I’ll tell you what my criteria isn’t—it isn’t “I absolutely loved this book!” Maybe I did love the book and that’s a great reason to nominate, but my criteria is more along the lines of “I think this book would be a worthy contender in (genre category).” I’ve read a lot of Whitney finalists in the past, so am familiar with a lot of what makes the finals and/or wins. If I feel a book is a strong contender given what I’ve read in the past, then I’m comfortable nominating it (and I kinda really enjoy nominating books, so I’m happy when I read one that I feel is a strong contender). I’ve even been known to nominate a book that I heartily disliked. Why? Because the author bribed me? Nope. 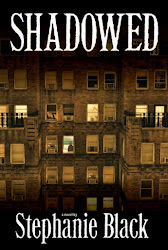 Even though I don't care for the story and the main character bugged me, I can see that this is a well-written book and one that will appeal to fans of the genre. It was a worthy contender. Nominations are due December 31st, and the committee will be happy to get nominations are early as possible (i.e. given a choice, it’s better not to wait until December 30th and then nominate all the books you’ve read this year). Each genre category has a panel of judges, and when a nominee becomes official (after five nominations), the judges will need to read the book. So it’s nice if they can spread that reading out over many months instead of getting a ton of nominations in the last week. Have you nominated any books for Whitney Awards this year? What are your criteria? Do you nominate only your absolute favorites or do you nominate more widely? I wasn't even aware of the Whitneys until this year. How bad this that? Yet I've read so many fabulous Whitney winners this year, that it will be fun to watch the process through this time. Ah, but Donna, it's great that you know about the Whitneys now! Now you can nominate books and have a voice in it! Jon, you're awesome :) Thanks again for being one of my test readers! I haven't the faintest idea what's going to happen this year with the Whitneys, but it will be fun to find out. Lots of powerful contenders in the suspense category! For anyone not familiar with the Whitneys, check out their site at whitneyawards.com. They have all their previous nominees and recipients listed. It's a wonderful list of great reads. I have never yet nominated a book for the Whitney Awards. I know, I'm bad. This year, I think I might change that! I'm gonna put some thought into this! Thanks Stephanie! And thank you for visiting my blog, too! So glad the post was helpful! Thanks for the comments! Hey Stephanie! I had so much fun at the Whitney Awards last year. I'm also so happy to find your blog. It's awesome. Thanks, Erin! It was so fun to see you at Storymakers/Whitneys. 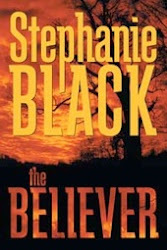 Stephanie, thanks for stopping by my blog!